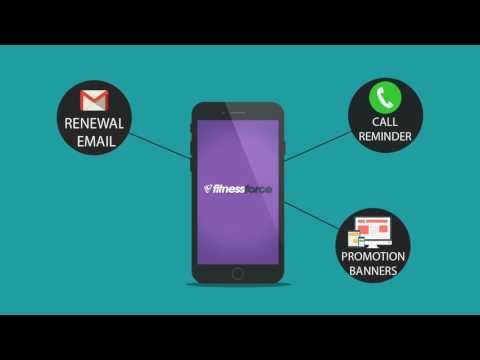 FitnessForce is easy, efficient and economical web-based software that helps fitness clubs to manage all their business activities from anywhere. FitnessForce helps users to meet their business needs without any hassles. It serves as complete CRM software with impeccable features and automated toolsets to efficiently manage sales, marketing, billing, calendar, dashboard and many such business oriented processes. This cloud based solution helps businesses with a technological leverage that allows them meet to the business goals successfully. With secure access control, the solution allows flawless booking and tracking the appointments, generate bills, and enhance sales. Grip Technologies Pvt. Ltd. is customer-centric SaaS provider. The company focuses deliver best n class customer service as it strongly believes that the central rule of any business is – no exchange takes place unless both parties benefit. The most crucial component of a successful business is sales and a lot depends on how the sales are managed. Our software ensures that you do not miss out on a single sales inquiry made through any media. Also, it reminds you to follow up on them from time to time. It also sends out automated messages and emails regarding renewals, upgrades, balances and even member irregularity to all your clients, so that they constantly feel valued and taken care of. This will definitely ensure good flow of sales. The software developed by the skilled professionals at FitnessForce automatically capture all the leads obtained from the website, the official facebook page of the gym, and even justdial. They are then directed to the software and pre-drafted SMS’s and emails are sent out promoting the entity and offering discounts to all the prospective members. After sales, the next step is to ensure that the members registered at your gym are happy with the services offered to them. For this, you require a systematic report of every day of every member, since the day of enrollment. This is made easy for you by this amazing software by FitnessForce. You no more need to maintain boring bill books and heaps of sheets in your fitness club! The super-efficient software by FitnessForce creates bills and receipts for every transaction with minimum efforts from your end. The gym management is responsible for the security of every member present on the floor. Strengthen the security in your gym by using the software by FitnessForce. 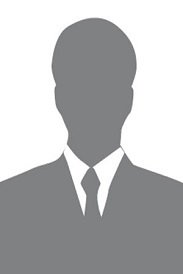 It grants access only to members having a valid or authorized membership. Access is denied based on certain business rules like non payment or expiry of membership. It tracks the attendance of members and automatically sends out courtesy messages to the respective people. You can also restrict entry of members based on pending balance payments. These days families or groups of friends join gyms together, to keep each other motivated and enjoy working out together. Most companies are enrolling employees for workout sessions make sure they have a group of fit and active people working for them. Scheduling and managing timings is a gruelling part of gym management. The software by FitnessForce makes it a simple task for you. You can book appointments, make changes or cancellations in them and even plan activity class timings from anywhere, at anytime! Also, you can send out automated messages or emails to the members for reminders, booking and confirmation of timings. By simply feeding the dates and timings of the classes, you can send them recurring messages too. Not only this, you can also manage a waitlist for the activity classes, trainer timings as per studio availability with absolute ease. The software helps you manage not just your members, but also efficiently keep a good track of staff. It helps you record the growth and performance of all the staff members, including their timings etc. You can measure the business growth with custom reports made from time to time and also make performance reports of the gym members in one click! The software helps you do a thorough analysis of the total revenue generated by all kinds of marketing and promotions through different campaigns, services, renewals etc. It also gives you detailed information about the performance of the sales and marketing staff and also the business brought in, by each of them. This helps you upgrade promotions and thus, increase inflow of business. I love that this software allows the complete management of every single aspect of the gym management! I don't believe I've encountered any cons using this software, it's made customer support so much easier! I was able to record my workouts such as sets, reps etc. I would also record what I ate for the day as well. The app should record the nutritional value to the macros you could Maine for your diet instead of just naming what you eat.